IRCI participated in the Fourth Annual Meeting of Category 2 Centres under the auspices of UNESCO Active in the Field of the Intangible Cultural Heritage held at the UNESCO Headquarters in Paris, France on 4 June 2016, straight after the Sixth Session of the General Assembly of the States Parties. The related 7 institutions appointed as category 2 centres (institutions that serve to contribute to the achievement of UNESCO’s strategic objectives), including IRCI, gathered from worldwide. 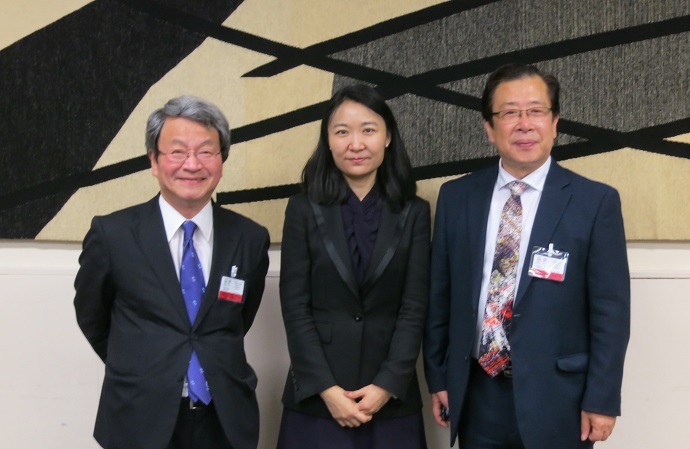 From IRCI, Wataru Iwamoto (Director-General) and Shigeaki Kodama (Associate Fellow) attended this event. Following the latest news and discussion on activities in accordance with the Convention for the Safeguarding of the Intangible Cultural Heritage from UNESCO, opinions were exchanged on further enhancing cooperation between UNESCO and the category 2 centres.